Is anyone interested in short weekend walks? 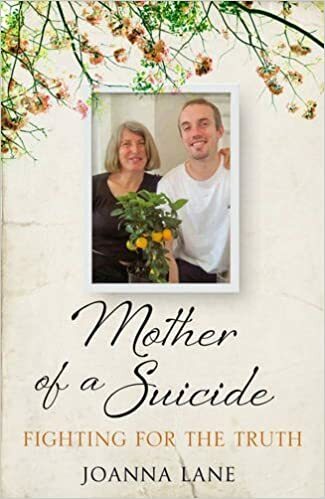 Joanna Lane, a long time club walker, has written a book about about the death of their son and its wider implications. It is now available on Amazon. Please remember, the walk posters are unpaid volunteers. They do their best to arrange with each other a wide mix of walks. Most of them like feedback, suggestions, and to be appreciated (= buy them a drink once in a while). If you'd like a particular walk posted, you could reach out to you favourite walk poster, or ask for a "Blogger" invite so you can post it yourself (say, if you want to post a regular early-and-long or short-and-late walk). Or, leave your request in a comment below. Reports on SWC walks from April to May. Closed to new comments. Walk Reports have changed. Please see the new Recent Walks page. These walks are open to all, no need to book, everybody welcome. Meet in the middle carriage of the train, or on the platform at the start of the walk. Please note that the club just organises the rota, not the walks themselves. It has no legal existence or insurance. The rota enables people independently walking the route to walk togther. As such, you should bring the appropriate Time Out book or a printout of the walk directions. The group is self-organising: do not expect to be led, and feel free to take your own pace, or form into smaller groups. The cognoscenti check the return train times. You can also catch a train from your local station, or connect with the walk at an outer London station, eg. Clapham Junction, East Croydon. You can of course drive to a walk, but (especially with Book 1 walks) check that the start and finish stations are on the same line! Walk Rota: The Book 1 (Vigorous, Nature, Relaxed and Creative) and Book 2 (Main, Vigorous, Sunday) walk rotas have been replaced over time. See above for the current walk schedule. To submit a walk or social event of your own, contact one of the 'bloggers', or see the contacts page. Other Groups who use our walks. The Rambers have several London based groups and many other local ones. If you have one of these, then you can have the OS map, overlayed with GPS routes from this or other websites, with a 'you are here' marker, which, especially in lowland (where navigation is harder), is amazingly brilliant. Screens are small so only useful for micro navigation (no big picture) - tablets win here. Dedicated Walkers Satnav batteries lasts all day, but hardware is an additional £200 or so, and you are then locked in to that hardware provider, and its an extra device to carry around. The digital OS maps for all these are 'closed', i.e. if you buy the mapping for one application, it will not work with any of the others, you'd have to re-purchase the expensive maps. Anquet. Android/iPhone app. Maps 20% off with code SWC20. At around £100 for UK wide OS 1:50K mapping. The OS 1:25K mapping is a nice to have if you can afford it. Its handy having a camera/phone/satnav all in one. Only very serious walkers need consider a dedicated device, e.g. Satmap 12. Free! Orux (app) + OpenStreetMap.. Android only. Not as good as OS mapping, not as detailed, and not every path is shown, but free! Our DNS registrar is 'Godaddy' at a recurring cost of £7 a year. We are using Cloudflare (free, recommended) as a CDN (Content Delivery Network) which actually serves the pages to you. Mapping is from Bing, Google, and OS Openspace (currently free). The club has an annual income from NDC (from royalties on the TOCW books) of £250 a year. So with an expenditure of ~ £180 per year, the result is still happiness. If you wish to discuss the website, please do so here. For 1 or 2 people, buy a Network Rail Card (£30, 1/3 off fares for up to 4 people, children £1). For 3+ people, ask for a Groupsave ticket (1/3 off). If you already have a London Zone season ticket, its straight forward, buy a train ticket from (say) "Boundary Zone 3" to your destination. If you don't, and live near a train station, buy a ticket from your local train station direct to your destination (which includes discounted cross London travel by tube if necessary). If you don't, and live near a tube station, buy a paper 1-Day Travelcard with a Network card discount. Its £7.90 (£8.40 for Zones 1-9 for Chilterns walks), available from the ticket office only, which open later on weekends...). It covers your tube fare into Central London, and by trains out to Zone 6. At a train station buy a second ticket from "Boundary Zone 6" to your destination. Some train station ticket machines (eg. Southern) sell "Boundary Zone x" tickets. If there's a "Buy a ticket from another station" button, select it and type in a station name of BOU to bring up the "Boundary Zone x" options. Check your local train company: South East Train Company websites, and see below for Railcards (especially the Network Railcard) and Long Term Special Offers. "FCC only" (was Thameslink) tickets from St Pancras/London Bridge south towards Brighton are ~ 50% cheaper on weekends than "normal" (any company) tickets. If you live near a train station, consider starting your journey from there. It is usually much cheaper to buy a ticket from there (which includes tube travel between London train terminus if necessary) with the railcard discount, rather than than tube tickets to/from the London terminus and the train ticket from there as well. Use an Oyster card for your initial journey and then a discounted return ticket to the destination. As of 2015, there are 2 types of daily 'travelcard'. Peak travel is cheaper, but off-peak is much more expensive! Oyster Card daily price cap is valid 1) at any time, and 2) on tubes, trams, buses, 'overground' trains, and and trains from Paddington, Marylebone, Euston and Fenchurch Street. Costs vary per zone, e.g. Zone 1-3 is £7.50, Zone 1-6 is £11.70. You must 'load' the 'price cap' onto your Oyster card in advance, as you will not be able to "touch out" at the Zone 6 Boundary on your train to the walk. Load the 'price cap' (for TFL fare train routes) or buy the Travelcard (for all train routes) at the start of your journey. Train tickets for these walks cost around £10 to £20, and a Network Card (which gives 1/3 off for up to 4 people) costs £30. It pays for itself after 4 trips or so. Historic Houses Association (Annual: £45 single /£72 double) : Membership scheme which gives free entrance to many houses passed by the walks. National Trust (First Year: £43.50/£71.62) : Covers several of the more well known attractions (e.g. Nymans Gardens, Wakehurst, Winkworth, Knole House), and free parking at NT car parks. English Heritage (£49/£86) : Has a similar scheme, but only a few of its properties are covered by these walks. The Art Fund (First Year: £42.75/£64.50) : Eclectic mixture of NT, English Heritage, and museums. Not many places on the walks, but maybe of interest as it covers most London museums. Recommended. The National Pinetum, Kew Gardens / Wakehurst, and Heligan have a reciprocal membership scheme.